I love the US. I won’t lie, I have loved it since I was a child and read books too big for my small head. The first book I read of John Irving was A Prayer for Owen Meany. It was the book that changed my life and made me want to be a writer. I was 13. Then I read Cider House Rules and it totally threw me off balance. Everything I thought I knew about a woman’s right to her body was challenged. I was 15 then and would bid my brothers good night singing “Goodnight you princes of Maine, you kings of New England” like Dr. Larch. I am thankful for kind, patient siblings who accepted and loved every bit of their eccentric sister. Maine and New Hampshire have been on my bucket list since then. I have always wanted to see where Homer fell in love with Candy. The place where Owen and John went to school. The land that birthed a genius like Mr Irving. Yet it took me more than 5 years of living in the US to actually make the trip. It is not my fault abeg. America is humongous. Thankfully New Hampshire and Maine are next to each other so I knew I could both at a go. And after Maine, there is nowhere else to go in America. It is the end of discussion, literally and figuratively. 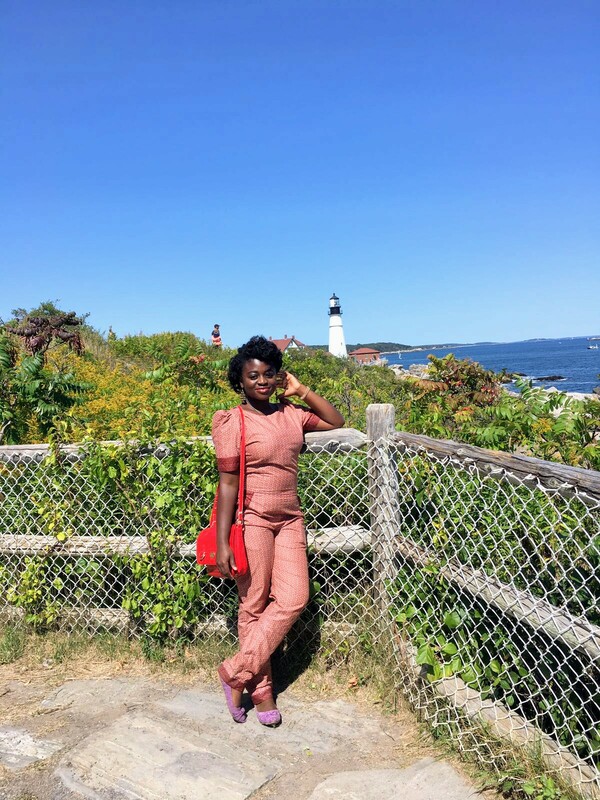 A few weeks ago, I told my travel buddy I wanted to take a tour to Acadia, Maine. He looked at me and said, “Let’s drive there instead”. There are many things I love about Emil. The way he takes care of his books, the way he thinks before he says something (unlike me), his love for his family, his kindness…but my fave thing about him is the way his eyes light up when it is time to travel. Labor day weekend finally arrives and we drive first to Manchester NH where he has friends. It is a nice peaceful place. I especially love the cafe we stop at for breakfast. There is a blue eyed boy taking orders with a scraggly beard that immediately catches my eyes. His latte is not the best though so I know we can’t make it work. From Manchester, we drive to Portland, MN. Portland makes me want to dance. There are so many tourists around. We line up for ice cream and I notice so many multi racial families. Their babies are too gorgeous for words. A day in Portland and we are off to Bar Harbor. I cannot drive so poor Emil bears the brunt of the 8 hours it takes us to get to Bar Harbor. At the end of the trip, he tells me it was worth it, after all, he got to climb two mountains. The man likes his hiking trails and climbing challenges. I am a girl who loves the sea. So Maine pleases me to no end. 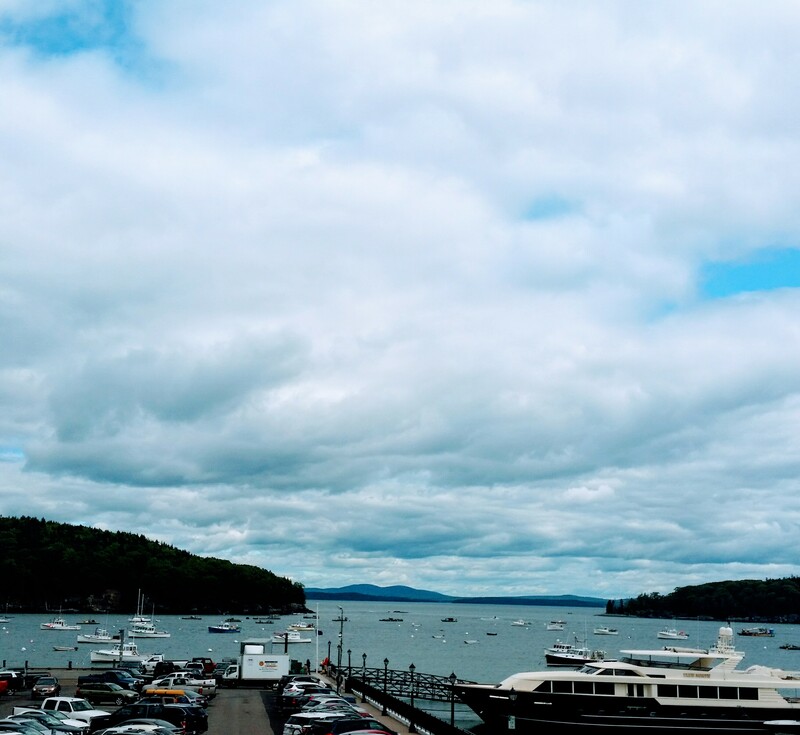 Bar Harbor looks like the end of the world. It is beautiful and mysterious and perfect. It looks like a scene out of Game of Thrones. Sand beach is perfect and I pretend to be Daenerys until Emil reminds me I am not blonde and am wearing yoga pants so he won’t be bending any knees. The way I felt when I read about Maine that first time was nothing compared to being in it. Here I could forget about Kim, Trump, Harvey, Irma, Fannie Mae, ISIS… There is nothing to fear here. You are at the end of the world anyways.